Ignore the conspiracy theories, the First Lady is doing just fine. First Lady Melania Trump — who has not appeared in public in 20 days — was at the White House Wednesday, conducting meetings, according to her Twitter account and a spokeswoman. However, she will not be joining her husband, Olympian Shauna Rohbock or Yankees great Mariano Rivera for the Trump administration’s Sports and Fitness Day on the South Lawn. 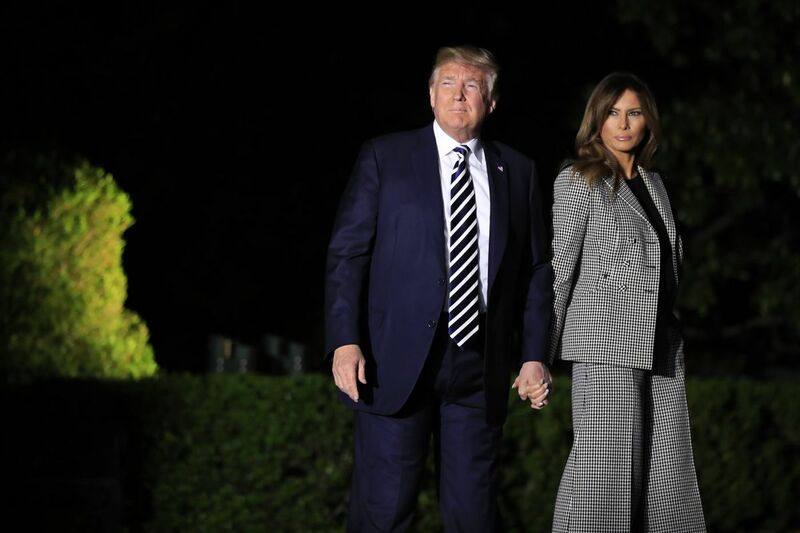 The 48-year-old was last spotted with President Trump on May 10, as the couple welcomed home three American hostages from North Korea at Joint Base Andrews. She returned to the White House on May 19 to continue her recovery, officials said. Despite official statements, rumors about the First Lady returning to the confines of Trump Tower, staying with the Obamas or filing for divorce ran rampant across social media. Spokeswoman Stephanie Grisham also sought to shoot down speculation. First Daughter Ivanka Trump, who is an informal adviser to her father, attended the sports-themed festivities Wednesday with the President. The 71-year-old commander-in-chief is a regular golfer, but is not known to be a fan of regular exercise.